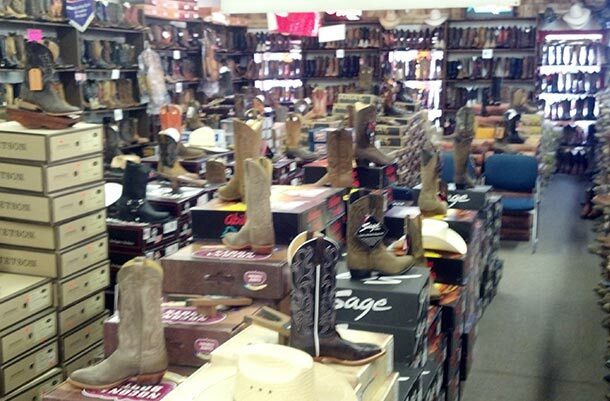 Established in 1957, Mobile Shoe Hospital Work and Western Boot Store is a locally owned and operated family business satisfying customers throughout the entire Gulf Coast Area as well as Southern Alabama. When you come to our shop, you are guaranteed great products and service. Our priority is to please our customers and we will go out of our way to ensure satisfaction. In fact, we are proud to have many returning customers and referrals. Come on in to our shop and let us prove to you just how much we value our customers! We offer boot and shoe repair, along with other leather goods including work and western boots, children’s boots, purse (including gun-carrying purses) cowboy hats, belts and buckles. Come in today and see our inventory for yourself!